Great golf equipment manufacturers, irons in our case, do not only exist in the US. Beyond names such as Taylormade, Titleist, Ping, and Callaway, some great Japanese manufacturers have developed great irons. If you are a golf enthusiast you must have come across Epon or better yet Endo irons. If not, then you must have heard of Mizuno and Miura irons. The later are known for their soft feel in irons and the former for their unforgiving irons. In this best Japanese irons review, we’ll take a look at some of the greatest irons from the nation of Japan. Let’s start from the beginning. Forging is an ancient Japanese tradition that dates back to the days of the Samurai. Though their equipment is less dangerous, it’s not to say that it’s not as good as other top names. This might come as a surprise, but Epon has the largest forging house and Titleist and Nike have called upon them in the past to manufacture irons for them. Yes, they are that good. In this review, we will be looking into great Japanese Irons. These are for those guys who dig irons with culture and history in them. And have been listed by Japanese testers as the best. If you don’t know what you should look for, have a look at our ultimate guide to irons first. It’s unfortunate that most of us don’t know golf manufacturers beyond the likes of Callaway, Taylormade, Ping, and Titleist. Worse still that most have not heard of Miura which is a company that makes some of the best, if not the best, forged irons in the world. Located in Himeji Japan, Miura only operates one factory which was previously used for forging samurai swords. Katsuhiro Miura began making golf clubs in 1957 and still hand grinds them up to date. Guess their high quality can be attributed to this simple aspect of handcrafting. So, why did the Miura CB-501 make it onto this list of great Japanese irons? 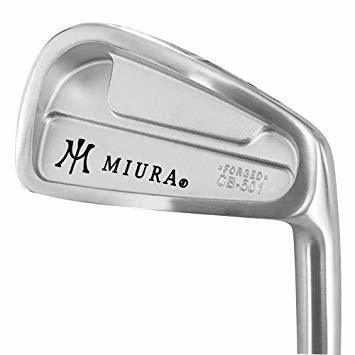 The CB-501 is a set that combines all the best attributes of Miura irons in a toned, refined package that appeals to players at different handicap level. Engineers at Miura have done such a nice job that at address one would not guess you are playing a cavity back iron. All aspects scream classic blade. From the thin top line to the flatter toe. Just like most Miura irons, these are better player irons. They might be cavity backs with a bit of forgiveness, but cavity backs aimed at the elite players. Offset in the CB-501 is barely noticeable because Miura smoothly flows the hosel into the heel. I said they are a bit forgiving right? Well, this can be attributed to the mass added low and behind the face. The mass also makes these irons easy to launch. These irons are the 9th installment by XXIO. Pronounced as zack sea-oh. Though not that recognized stateside, this company has been topping the equipment industry in Japan for the last decade. And the 9th installment happens to be their best piece of work yet. They are irons that launch easy, have great carry distance, are forgiving, and with a tune that’s pleasing to the eye. They definitely had to make it onto this list of great Japanese irons. 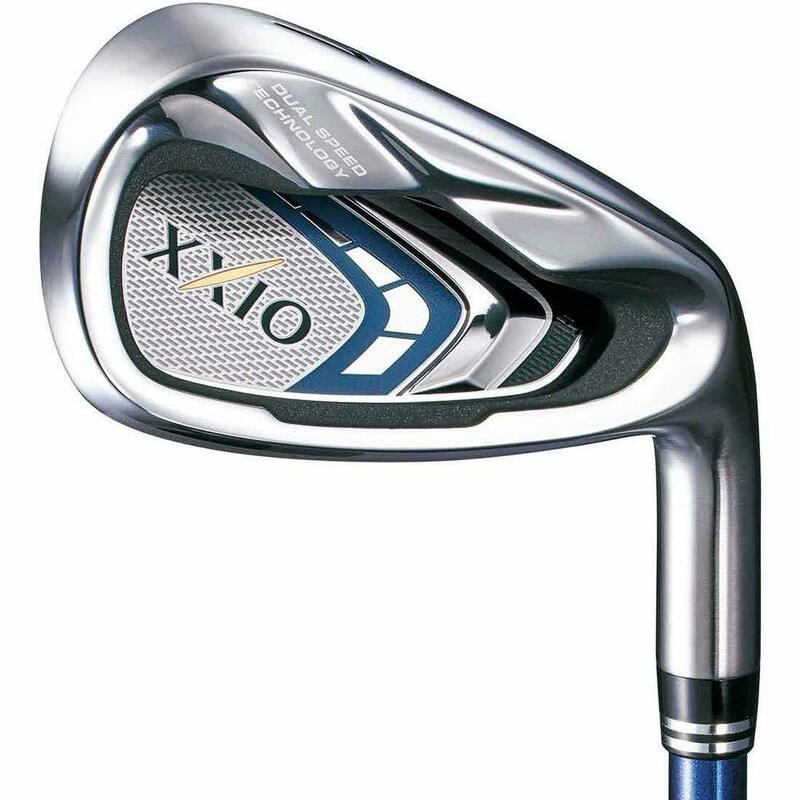 To produce such an iron, XXIO had to incorporate cutting edge technology into these irons. The most noticeable being Dual Speed technology and a 5 piece head structure. The dual speed technology is a combination of a heavier head, with a lighter higher balance shaft. This combination allows for more drag to be created throughout the swing which leads to great acceleration through impact. The result; more carry distance and consistency. The 5 piece head structure results in an iron with very low Center of Gravity (CG). Alongside the tungsten weights in the toe and heel, engineers at XXIO have also incorporated a nickel sole weight which lowers CG and increases MOI.In this 9th generation, XXIO has expanded their titanium face towards the sole to enhance COR performance which is where average golfers tend to hit the ball. Mizuno have been around for awhile now and guys stateside know them for their unforgiving nature. Yep, these irons will make you pay for your striking sins. However, their low level of forgiveness makes them perfect for elite players. Why? Well, they offer more playability. With such great irons, Mizzy's had to be on this list of best Japanese irons, and we went with the MP-55s. The MP-55 are a bit different. They are better player game improvement irons though the average golfer can still play them. These irons are forged of S25C/1025E with a nickel chrome mirror finish. They have a sharper more square look which will appeal to tour players and are available from the 5 iron to the PW. However, one can get the 4 iron if one desires. Mizzy's are known for little or no technology in their irons, but with the MP-55 irons, this is not the case. They have incorporated an undercut V-slot cavity. The result being more forgiving irons. The CG in these irons is low and deep and so is the sweet spot. 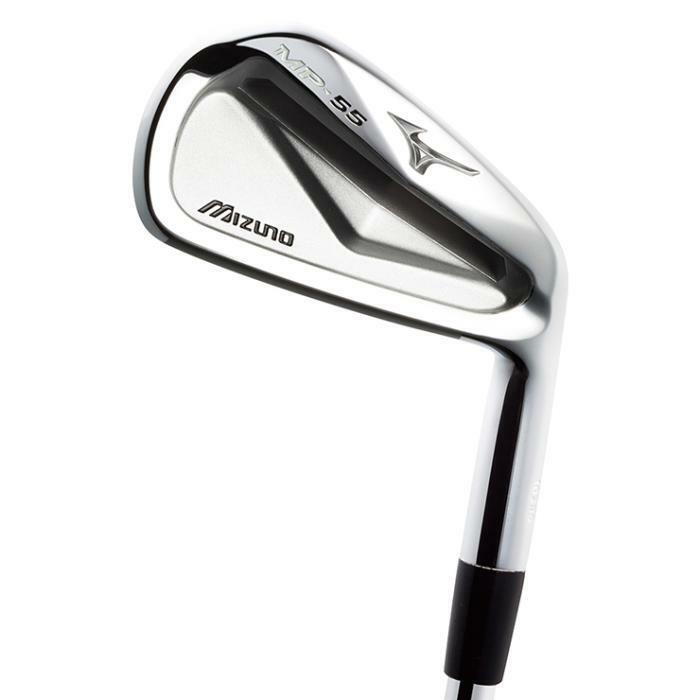 After research engineers at Mizuno realized that most average golfers tend to strike low on the face and thus lowering the sweet spot was a great idea. The combination of a deep CG, a low sweet spot, and the V-slot cavity results in irons with more distance and easy to launch. Coming in 4th on this list of great Japanese irons is the Yonex N1-MB irons. 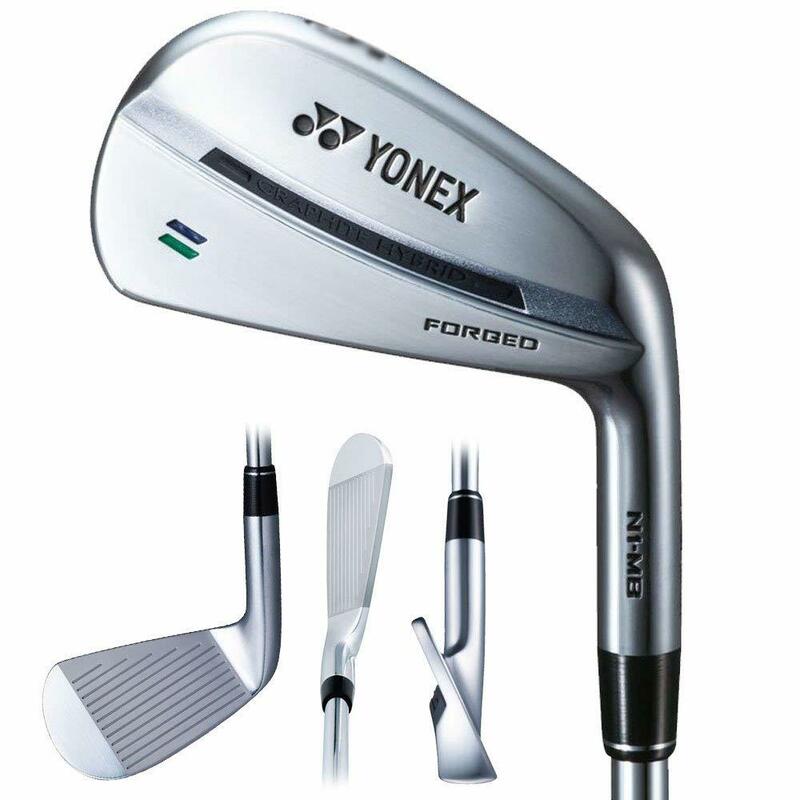 Yonex is not that recognized outside Japan but happens to produce some of the best better player irons. The N1-MB irons are no exception. The N1-MB irons are irons with muscle-back design but with the playability and forgiveness of cavity backs. You could say they are irons that offer cavity back performance in a compact blade design. These irons have a marginally larger head (inspires confidence at address) with it being longer from heel to toe. The N1-MB irons also feature a graphite insert in the back cavity which helps by dampening vibrations and pushing the CG lower for higher launch. They have also incorporated a 3D sole which increases the efficiency. A wonder of an iron. These are irons for better players on a budget. In the golf equipment industry, some irons allow you to do one thing, then there are irons that allow you to do two things, and then there is the RMX (pronounced remix) 216. These are irons with unrivaled versatility which put them on this list of best Japanese irons. 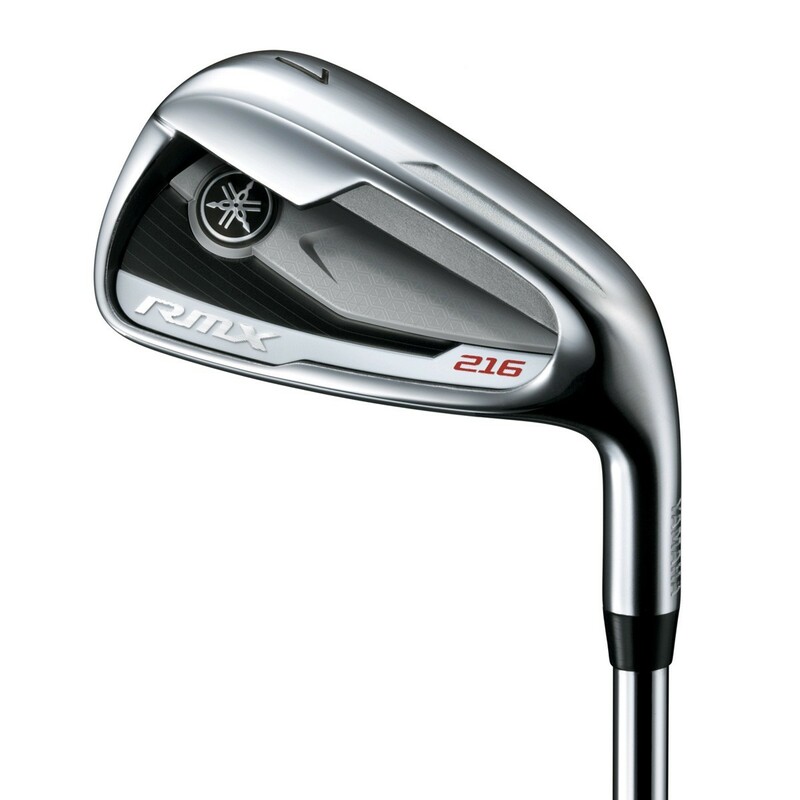 The RMX 216 have 4 custom shafts and 2 heads which allow amateurs to select the optimal combination for their swing. However, this does not even begin to explain on the cutting edge tech these irons use. The RMX 216 has 6 slits added to the inside of sole to maximize deflection of the body. They have also incorporated a symmetrical structure giving the sole and crown the same angle with the face. The result is a thin contact area with the face for greater repulsion. To spice it all up, they have the ultimate face for best repulsion. Yep, they just had to be on this list. In less than 20 words, these are irons to hit the ball straight, high, and with max stability meant for players of all handicap. Earlier on, I am sure most of you were skeptical about Japanese irons. You did not expect them to be this good now, did you? Well, we are birds of a feather. It never occurred to me that Japs could be this good at crafting irons. And with the irons listed above, they surely proved us wrong. These are the best Japanese irons and with one in your hands you’ll feel like a pro on the golf course. Fairways and greens!